Follow your zany muse and get creative with your vegetable garden. 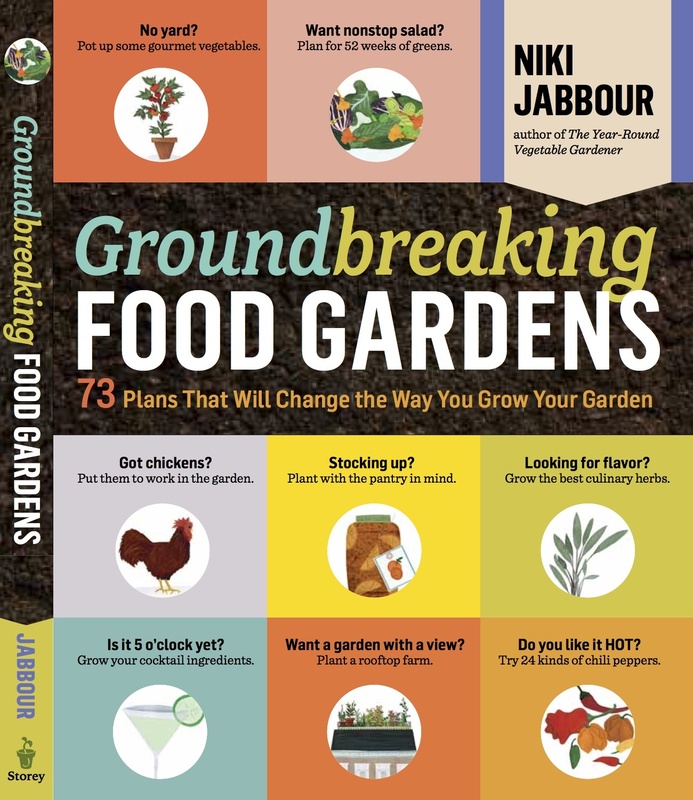 Niki Jabbour brings you 73 novel and inspiring food garden designs that include a cocktail garden featuring all the ingredients for your favorite drinks, a spicy retreat comprising 24 varieties of chile peppers, and a garden that's devoted to supplying year-round salad greens. Created by celebrated gardeners, each unique design is accompanied by both plant lists and charming anecdotes. This fully illustrated collection glitters with off-beat personality and quirkiness. Niki Jabbour is a garden writer and radio show personality, who hosts The Weekend Gardener every Sunday on News 95.7 FM (www.news957.com) . Her work also appears in magazines across North America including Canadian Gardening, Garden Making and Gardens East. A Note from Niki - As an obsessive veggie gardener, I'm thrilled that we are able to harvest year-round from our 2000 square foot plot. We're in zone 5b/6, but winters can be long and harsh. Therefore, I'm always on the hunt for a wider variety of cold tolerant crops for our winter cold frames and mini hoop tunnels - mache, mizuna, mustards, claytonia, carrots and more. It gives me a deep sense of satisfaction to be able to harvest a bounty of food in the middle of winter and be able to offer homegrown organic veggies to my family. You can follow my gardening adventures at http://yearroundveggiegardener.blogspot.com Happy Gardening!